Claude Monet's work needs to be seen up close to really appreciate the beauty of it. Though his work is breathtaking, even in print or online, being able to see the individual brush strokes and blots of paint is another experience altogether. 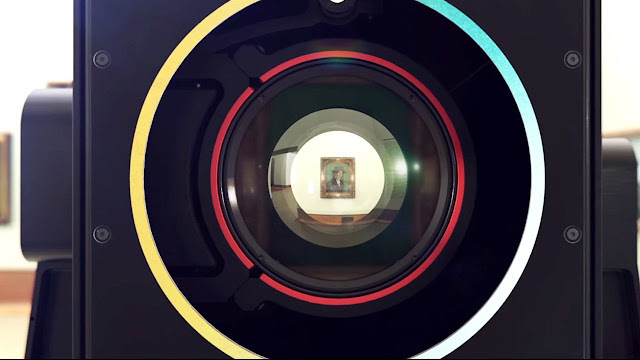 Come high end photographs have brought us close, but Google's Art Camera, over 1,000 works of art from museums around the world are now available for you to view as gigapixel images. The results are incredible to behold. Google has been maintaining the Google Cultural Institute since 2011 as part of a project to digitally preserve cultural objects from throughout history. In those five years, they have brought ultra high resolution images of over 200 works of art, and released 1,000 more with the unveiling of the camera on the 17th. For those who may never get the opportunity to see these works in person, it is an incredible opportunity. Selecting any painting in the gallery allows you to view the piece as a whole and zoom in so close that you can see the individual strokes and what look like bits of the brush in Georgia O'Keeffe's Red Cannas, or see the multicolored dots and specks that make up Pissarro's Apple Harvest. Google has sent a "fleet" of the new cameras to museums around the world. The images released today are just the first batch. Expect more to be released throughout the year. I sincerely hope that the Musee D'Orsay in Paris is participating in this amazing opportunity. So many paintings are so delicate that even showing them can be dangerous. Humidity, light, even the brief flash from a camera can damage these priceless works. You can look at all of the paintings captured by the Art camera on Google's Cultural Institute site. I highly recommend looking at Monet and Van Gogh's pieces. I spent nearly an hour zooming in and out on different sections, just trying to grasp at their process and trying to better understand how they went about producing their work.